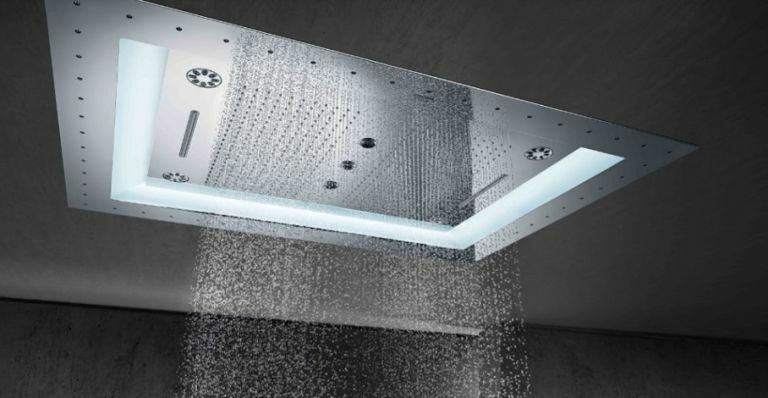 Are you bored of that silly regular shower in your house? Do you want to clean yourself off in the morning with a unit that would be more at home in a Bond film? Well, the AquaSymphony from GROHE is so swanky it has five innovative ways to keep you clean including impressive size, multiple invigorating spray pattern options, sound, light and steam functions. It's head shower features an impressive size of 1016mm x 762mm so you get a huge curtain of water with every shower session. With multiple spray patterns programmed in, you can actually customise your shower to suit your cleaning needs. If you're looking to wash like a millionaire you can buy a GROHE AquaSymphony now for £22,547. Philips has just launched a new range of headphones that are combining lightweight designs with swish colours and compositions. Ranging from over-ear to in-ear models, the Flites are an ideal way to upgrade your audio aspirations. The Hyperlite in-ear headphones (available from Argos for £24.99) offer an ergonomic design that boasts 12.2mm drivers and a bass tube, while the Ultralite (Argos - £14.99/£19.99) have noise-cancelling cups and foldable setup for easy stowing. There's even a wireless model with Bluetooth (Argos - £39.99). Finally, there's the Everlite (Argos - £34.99) which comes with an integrated mic allows users to take calls and chat, with the option to play and pause music also available. The world isn’t flat and one dimensional, so why should your photos and videos be? Kitvision brings you the Immerse 360 action camera, a piece of tech that will transform your videos and photos into living and moving interactive experiences – all with a push of a button. The Immerse 360 can capture eight megapixel photographs and record 1080p HD videos in 360 degrees, giving you an unprecedented view of the world around you so you can treasure those memories forever. The super wide lens is 220° and is able to capture an incredible amount of your view around you. The Immerse 360 is available now for £199.99 from all good action camera retailers.